At Albertville Family Dental, we offer a range of dental services to help our patients achieve the smile they have always wanted. Whether you're missing a tooth, need a filling, want teeth whitening, or just need a regular cleaning; we have the tools and knowledge necessary to help you. We work hard to provide a warm and welcoming environment for every patient. Dr. Becicka takes the time to discuss one-on-one with you about your dental options, and what would be best for your overall oral health. Patients leave happy, knowing they are receiving the best care from a dental office that truly cares about them. We work to fit in appointments that are convenient for our patients and works around their schedule. 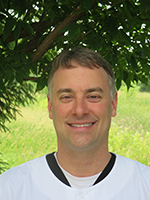 Dr. Becicka is a graduate of the University of Minnesota School of Dentistry. He has been in practice for over 20 years. Dr. Becicka is a proud member of the American Dental Association, and the Minnesota Dental Association. Dr Becicka is married to wife Julie and has 3 kids. He enjoys spending time with his family and cheering on the wild. 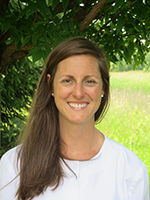 Dr. Lira grew up in Wausau, WI and attended Carroll College in Waukesha, WI. She graduated in 1995 from Carroll College and went on to Marquette University School of Dentistry in Milwaukee, WI, from which she graduated in 1999. Dr. Lira is married to husband Lee and has two young daughters, Grace & Scarlett. When she is not at the office, she enjoys family time, traveling, and good restaurants. Call us today at 763-497-8165 to make an appointment. We look forward to the opportunity of working with you.